Highly Recommend written by mobile Delivery was prompt and service was good. The size fits perfectly in my small kitchen. Very good buy. Item recieved very fast and good condition. So far so good. Nrought with Qoo $100 dollars discount coupons. Much cheaper then all the stores. Item received in good condition. Delivery personnel advised me to keep all the large packaging material for a week in case the fridge spoil . It has been 2 weeks , so far good . Have yet to try. Delivery was smooth. will there be a issue if the top of the fridge almost touch the cupboard with a balance of 5mm space? Dear Buyer, don't recommend, better to have sufficient space for proper ventilation. by the way, any recommendation for me on one fridge which is 1730mm in height. You can consider BEKO fridge RDNT-360I50VZX, RDNT-360I50VZWB, RCNT-415E50VZX in your price range, all are 1720 mm in height. The price is inclusive of delivery charge? Will the delivery man help us to dispose the old unit? Dear Buyerm, price is inclusive of delivery and they will help dispose the old unit. That is great! It comes with free gift as well? An Authorization Letter and a copy of the owner’s NRIC must be produced in the event that the owner is not present at the time of redemption. Hi, when is the earliest I can receive? How Long is the warranty? I saw on Panasonic - should be 12 years?? Earliest is 16 March if you purchase today. 1 year parts and labour 12 years compressor warranty. Hi! Can I order now but have it delivered in April? I'm waiting for my renovation to be completed. Thanks! Hi, I order this today, when will be the earliest shipping date? Will it be possible to deliver on 16 Feb (Sat) morning? Hi, I just placed my order. 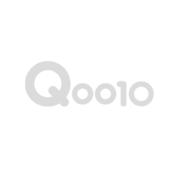 Qoo10 order no. 289971138. Dear Buyer, we have scheduled.